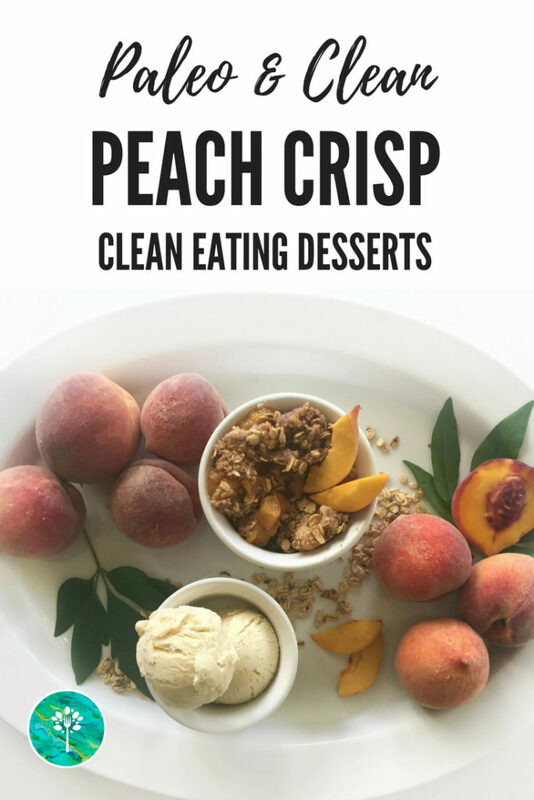 Clean Eating Peach Oatmeal Crisp! This recipe takes on the challenge of cleaning up an old favorite of mine- Peach Cobbler. 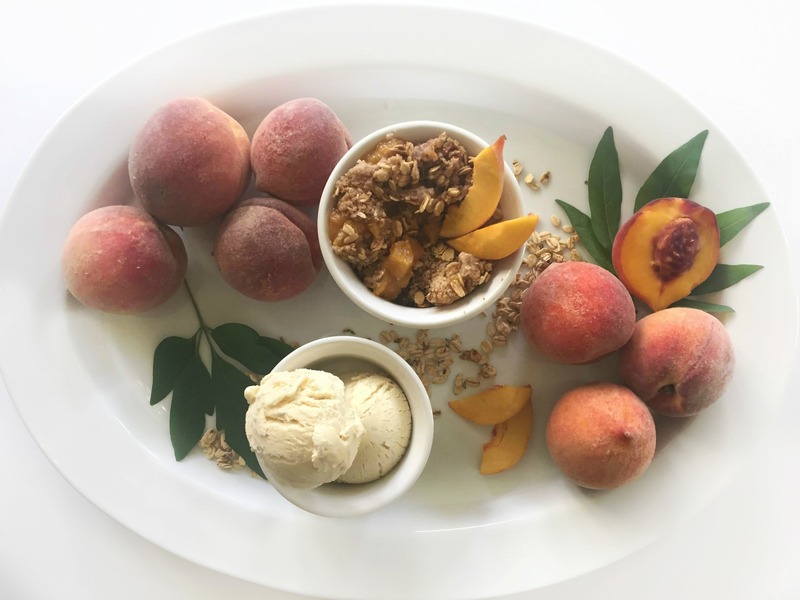 Not only is this healthy peach dessert recipe easy, it also has some supportive ingredients baked right in! 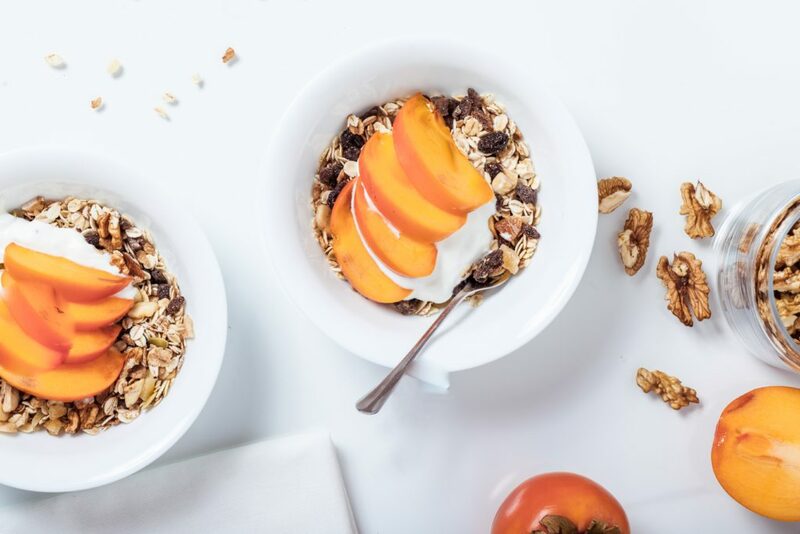 If you are looking for a even crispier crunch, then add some of my clean eating granola on top! That may even qualify this as a cheat day for breakfast. Well not really, but it falls into my 80/20 rule. 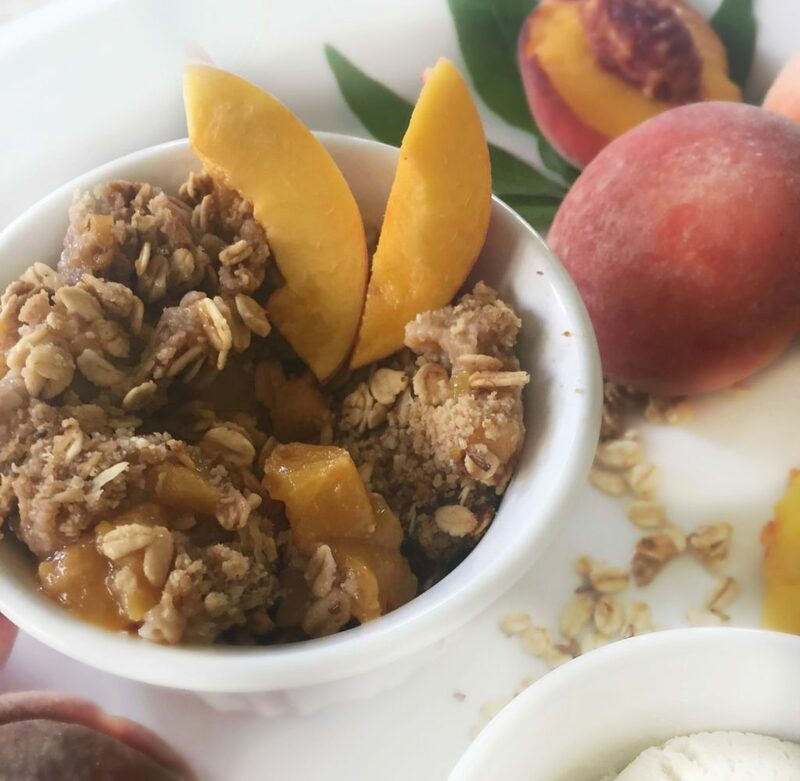 If you find yourself with a bag of peaches, with no recipe in mind, this is one to remember and share. *Serve with yogurt on top and some fresh sliced peaches! Prep Iron Skillet with Clean Oil, Ghee, or Clean Fat and place on lined cooking sheet to protect oven. Mix the Peaches, Ginger, Maple Syrup & Vanilla in a small bowl and pour into the iron skillet. Combine the Oat Flour, Ghee (or Butter), Sugar Substitute, Salt and Cinnamon. Using a fork, cut the Ghee (or Butter) into the mixture until it is crumbly. Place back in oven and cook for an additional 15-20 minutes. Let cool ever so slightly, and serve! Going Paleo with some Cream- try adding a dollop of Coconut Whip on top!